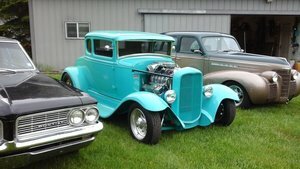 This 1931 Ford Truck is a fully restored, all original classic that is in excellent condition all around. Rebuilt Inline 4 motor with original manual transmission and original rear end. Upgraded with LED rear brake lights, added third light, and turn signals added for safety. This is a great addition and great slice of American history to add to your collection. Offered at $26,500 OBO. For more information please visit our website at www.classiccarmarketing.net or call us at 619-972-7073. Please mention the vehicle you are inquiring about so we can respond promptly. Inspections are encouraged before any purchase, of any vehicle, anywhere.